Saturday morning I rushed around to get ready and ended up finishing my Jalie jeans not 5 minutes before I had to leave to catch the bus and train up to Walthamstow for our organised assault on the market! Our supreme leader, Karen, has already posted a comprehensive rundown of the afternoon but I somehow managed to avoid getting into any photographs (bwahahah!) so I feel I need to offer proof that I actually was there! And wearing my newly sewn jeans, which you’ll see later this week! Fulfilled! 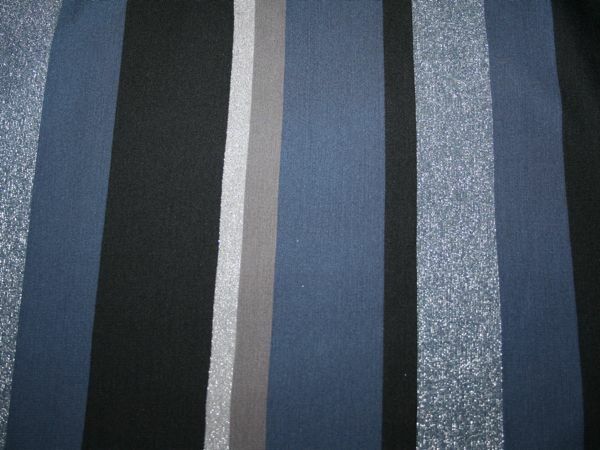 I bought this viscose/lurex striped jersey bought at Saeed Fabrics – 2m @ £2/m! Though if it turns out James doesn’t like the sparkly stripes, I really won’t be upset! Fulfilled! 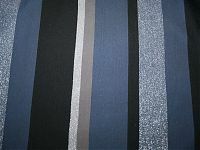 I bought this viscose/lurex striped jersey bought at Saeed’s Fabrics – 2m @ £2/m! Though if it turns out James doesn’t like the sparkly stripes, I really won’t be upset! 2. 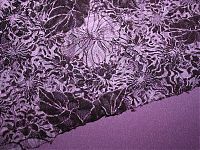 Something to underline the nice lace Pip bought me for Christmas. Fulfilled! 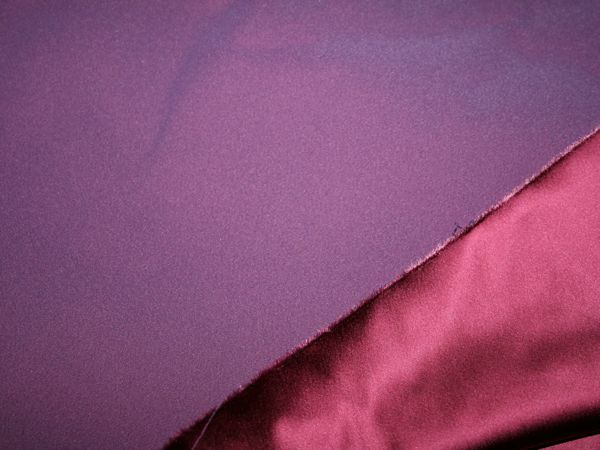 I found this mauve/purple crepe satin at the fabric stall by Sainsbury’s – 1.5m also @ £2/m! 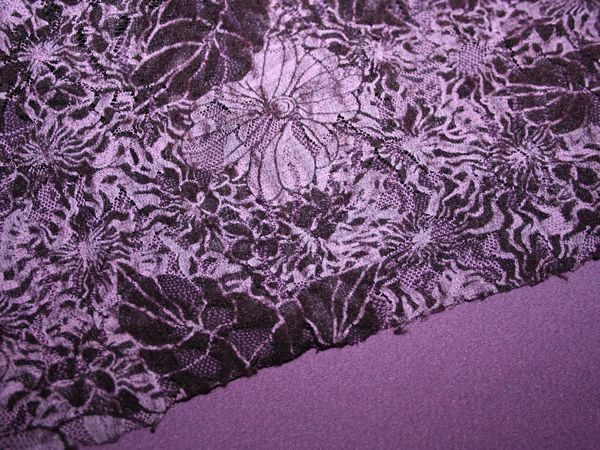 I’m fairly certain this is polyester, but seeing as how it’s the right colour, the right amount of stretch, and even comes with a bonus satin side that’ll be slippery against my tights, I wasn’t about to argue (especially since the lace is polyester itself!). Don’t they look nice together on the right? 3. 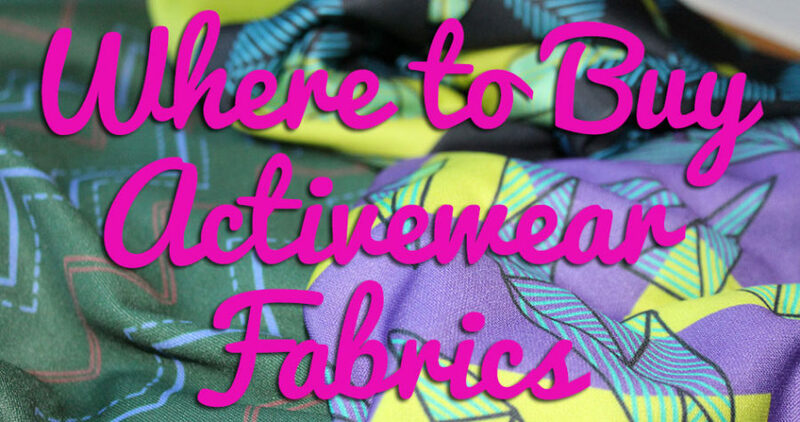 A wildcard fabric of my choice. Which I actually didn’t buy. 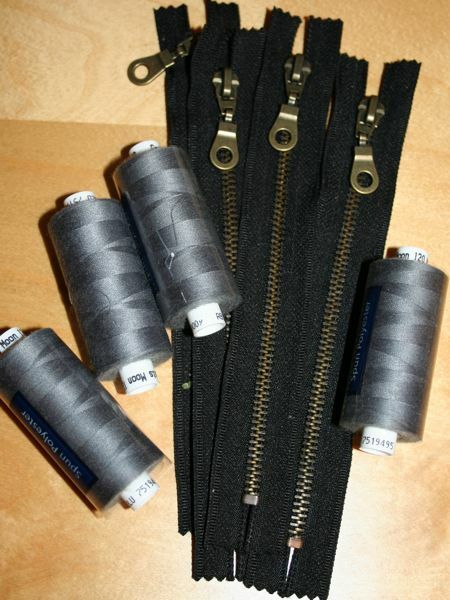 But I did have a few haberdashery items in the Notes of my phone (I keep a running sewing shopping list in case I forget what length or colour of zipper I need), so at the haberdashery stall up by the library, I bought two supplies on my list – jeans zippers (four at 50p each!) 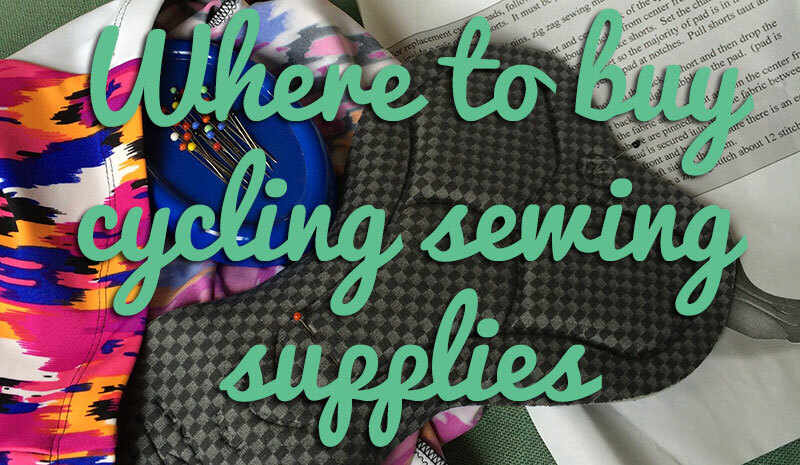 and grey thread for my overlocker (also at 50p each!). Bargain! I just wanted to say thank you again to Karen for organising, the fantastic discount badges, and the hand drawn maps! 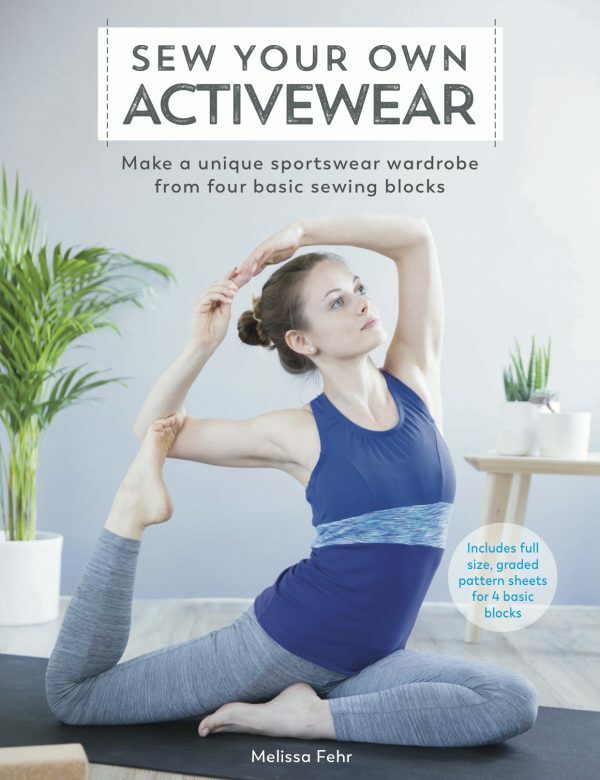 We had a great turnout of London sewers and it was really nice to meet so many new sewing faces and (of course) feel a thousand fabrics, too. I can’t wait to see what you’re all making with your finds! It’s been at least four years since I’ve been up to Walthamstow market so it was good to discover some new stores and stalls that weren’t there last time around. And the drizzle just kept a bunch of the crowds away! 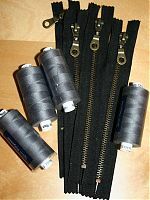 Separator image Posted in Inspiration and tagged with city-guides, shopping.